“The new frontier of renewable energy is crossing Iceland. In the land of fire, the homeland of geothermal energy, they are testing a technique to drill wells five kilometres deep to bring steam to the surface at temperatures up to 500C. Hot liquid and steams stored inside the Earth have a huge potential to generate electricity, such as through turbines. Here, in the Reykjanes peninsula, they’re drilling beyond the usual 2.5km depth of a geothermal well. Technicians have reached what they call ‘supercritical steam’, a huge source of power reaching 500C, close to magma reservoirs. Gudmundur Fridleifsson, a Deep Enhanced Geothermal System (DEEPEG) project coordinator, Chief Geologist, HS Orka, says: “We need to drill deeper and help nature a little bit to get the heat out of the ground. That is the goal of DEEPEGS , a project, partly funded by the EU and driven by a consortium led by Icelandic companies. 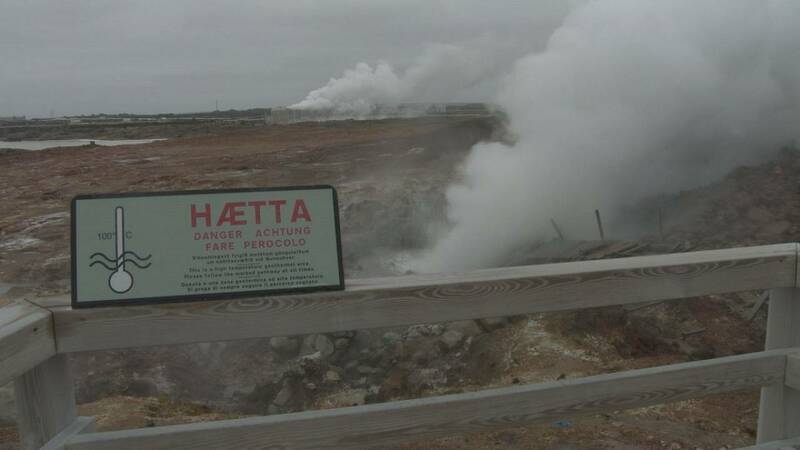 It aims to increase the use of Geothermal systems in Europe. One of the main challenge for the DEEPEGS team is finding out what the rocks are made of while testing the new deep drilling techniques. Being aware of the composition of the soil is key to avoiding structural damage or security issues. “Drilling into the unknown is a big challenge, todays we have no means to see exactly what we are drilling through,” says Albert Albertsson, a mechanical engineer at HS Orka. Drilling the earth’s crust is a risky operation also because the drill can go through a magma reservoir or small quakes can be generated, especially in volcanic areas. Bringing up steam from the hot heart of the planet means also getting also harmful products such as CO2 and sulphur. Nevertheless, the icelandic approach is: recycling everything. Final results on this technique will be ready by the end next year. If this technology can produce more power than conventional geothermal wells, fewer wells would be needed to produce the same amount of energy and the environmental impact will be lower.